Quick overview Contains such stories as: "La Grosse Fifi", "Vienne", "Tea with an Artist", and "Mixing Cocktails". They are all taken from a selection from The Left Bank in Penguin's edition of "Tigers Are Better Looking". 'There was nothing of the blond beast about the gigolo - he was dark, slim, beautiful as some Latin god. And how soft his eyes were, how sweet his mouth ...Horrible, horrible gigolo'. These four haunting stories from the author of "Wide Sargasso Sea" capture moments in the lives of European dilettantes, ingenues, businessmen, soldiers and artists at a time when the world was enjoying freedom after war. But with freedom comes the greater opportunity for self-destruction, and Rhys is at her redolent best when writing about the desires of people striving unsuccessfully after happiness. 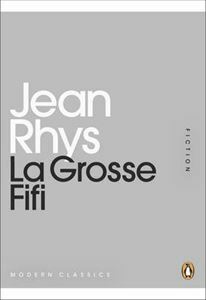 This book contains "La Grosse Fifi", "Vienne", "Tea with an Artist", and "Mixing Cocktails". They are all taken from a selection from The Left Bank in Penguin's edition of "Tigers Are Better Looking".